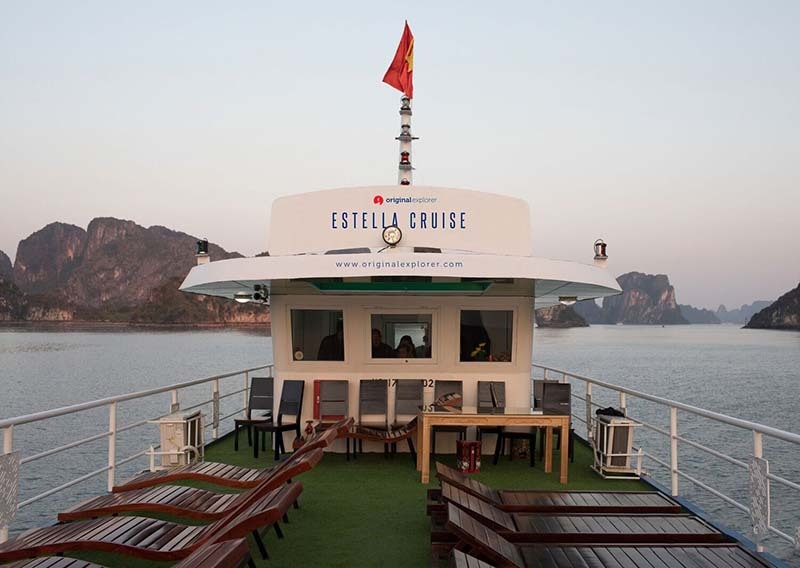 Estella Cruise Halong Bay day tour marvels at the hidden splendors of idyllic Ha Long bay – Lan Ha bay and wilderness in style and comfort that only 2 days trippers can do. 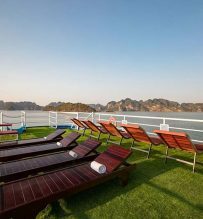 07.15-7.30 Meet tour guide at your hotel in Hanoi. 08.00. 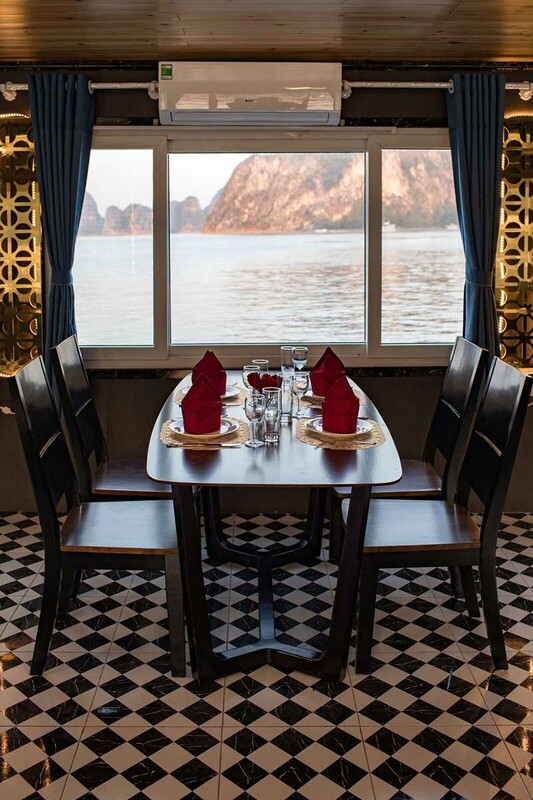 Start two-hour road journey to Hai Phong via express way aboard ultra-luxurious limousine. 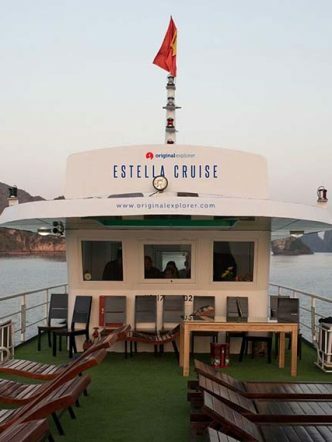 Estella Cruise will take you on an odyssey of 8-hours in deep exploration through remote Halong Bay – Lan Ha Bay, discovering many hidden splendors of untouched natural wonders. 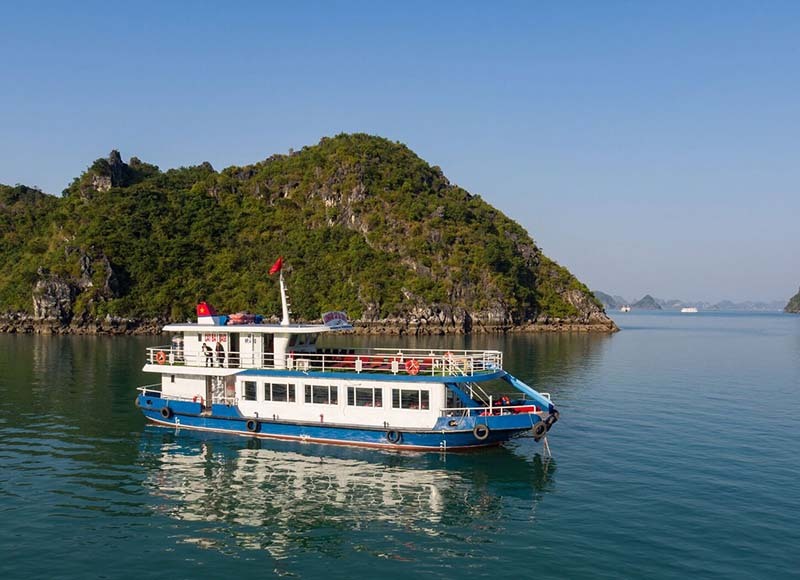 Enjoy breath-taking scenery from river to the sea. 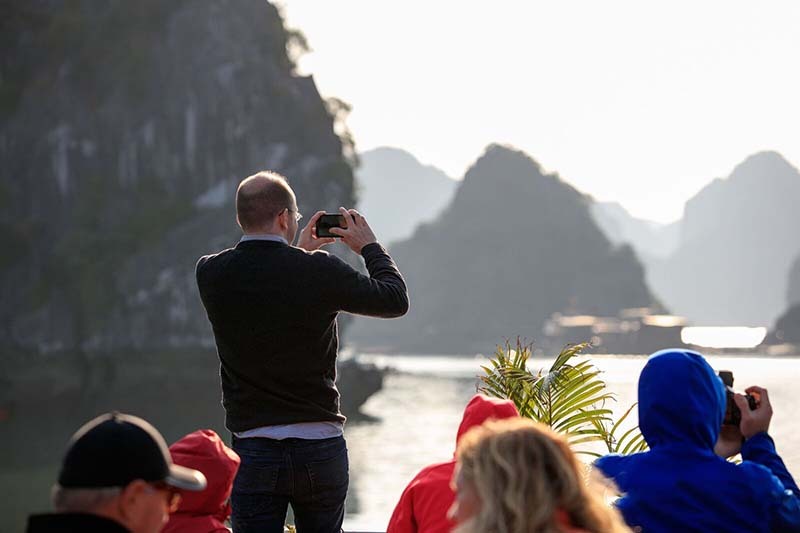 The journey starts with a cruise through 8-hundred years old history river surrounded by verdant mangrove forests dotted by white storks before heading into mystical world of uncharted Halong Bay. 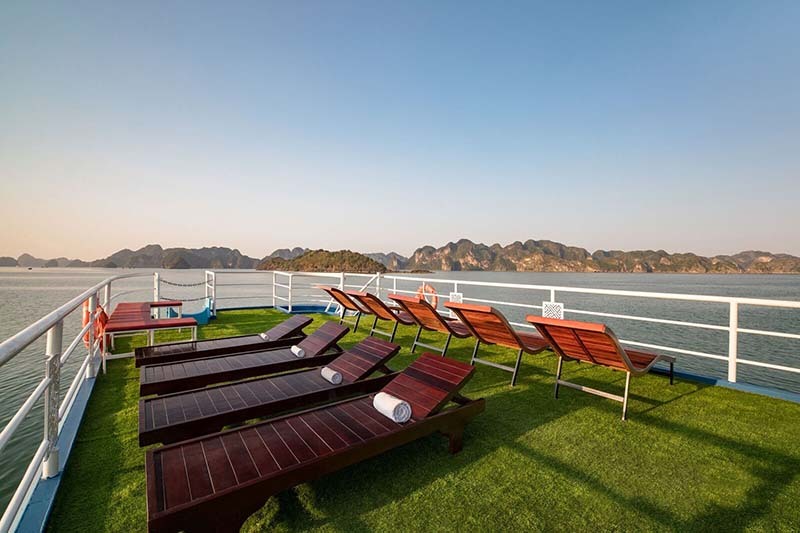 Drop anchor at a cove amid dramatic natural scenery in Kiem Lam archipelago. 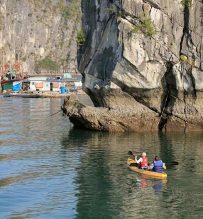 After an introduction from our expert on how to paddle safely, you will do kayaking amidst a maze of incredible rock formations rising majestically from jade-green water. 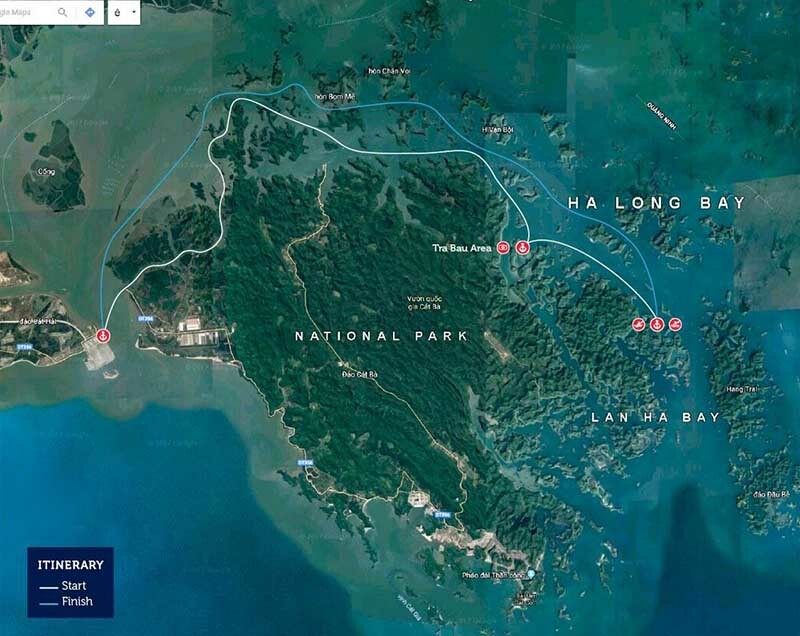 Every turn brings another surprise and secret passages of an array of stalagmite caves leaded into hidden lagoons with a unique eco system, getting close to sea creatures and coral reefs. 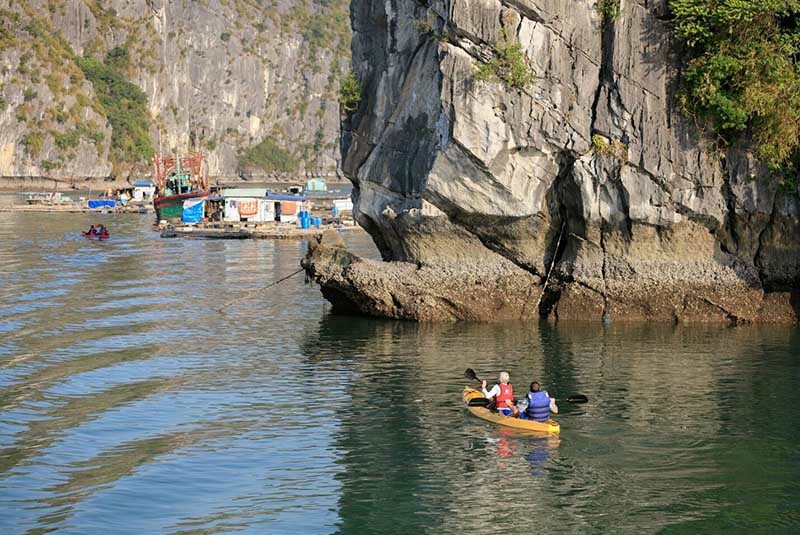 Alternative kayak, taking a bamboo boat rowed by a fisher-folk and gently gliding through stalagmite caves leaded into hidden lagoons. Swimming on crystal clear emerald water with amazing backdrops. 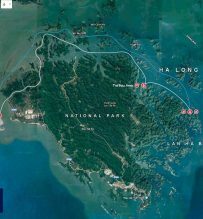 Passages of the genuine floating house of local fisher-folk where the indigenous life that have been living on for centuries. 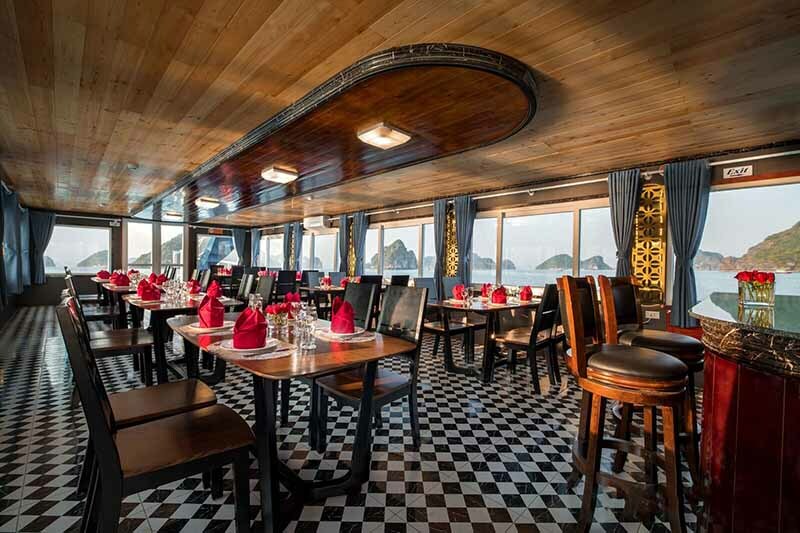 The chef will teach you how to make famous traditional Vietnamese spring rolls. 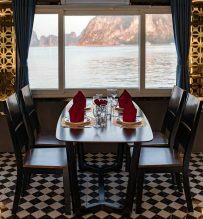 Here you will understand the culinary culture of the Vietnamese and the techniques that you will take it home. 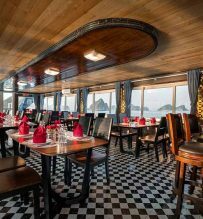 You savour this course that made by yourself with our traditional wine. 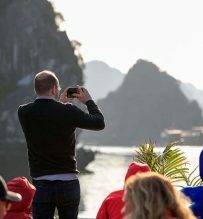 There is something magical about the tradition of taking the tea at the sea – fresh biscuit, Vietnamese traditional cake, green tea and seasonal fruit are served by the crews while you mingle with other guests to savor the unique moment of sunset. 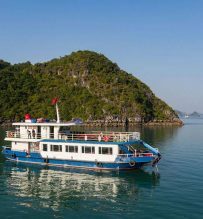 17.30 Disembark for another comfortable limousine ride back Hanoi. 19.00 Drop off at your hotel doorsteps.